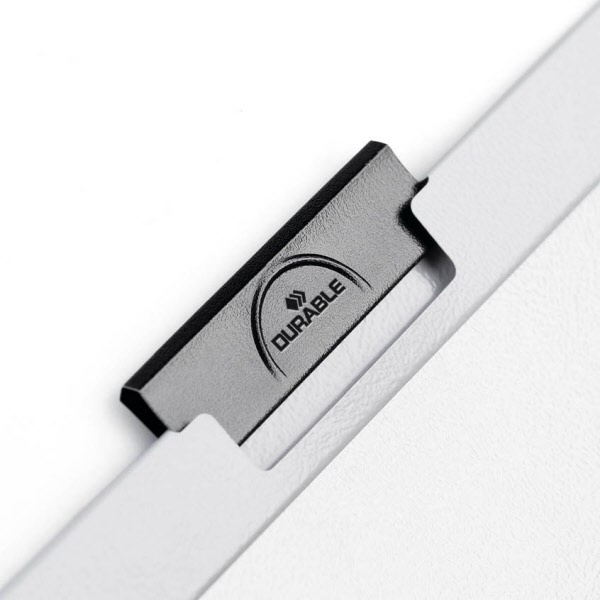 Long lever holds documents in place without the need for hole punching. With clear pocket on inside front cover to hold loose items. Insert spine label to personalise your file. Holds up to 60 sheets of A4 80gsm paper. Sold individually - Available in a choice of colours. No hole punching required! 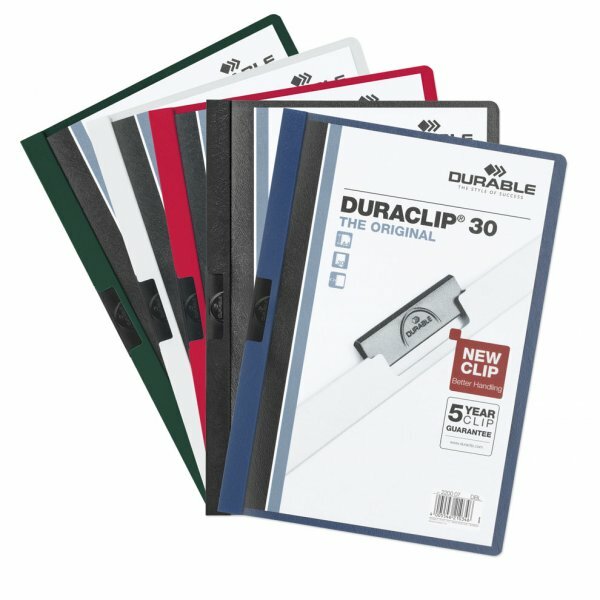 Marbig punchless clamp files. 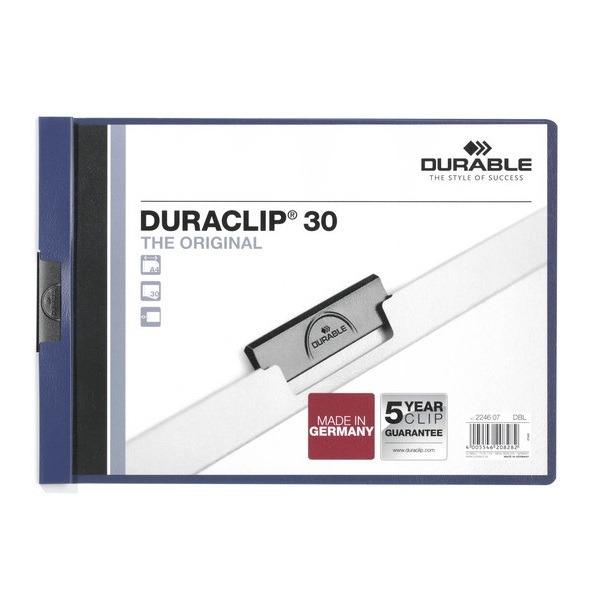 Easy access for removal or replacement of individual sheets. Holds up to 50 sheets of A4 80gsm paper. Reuseable. 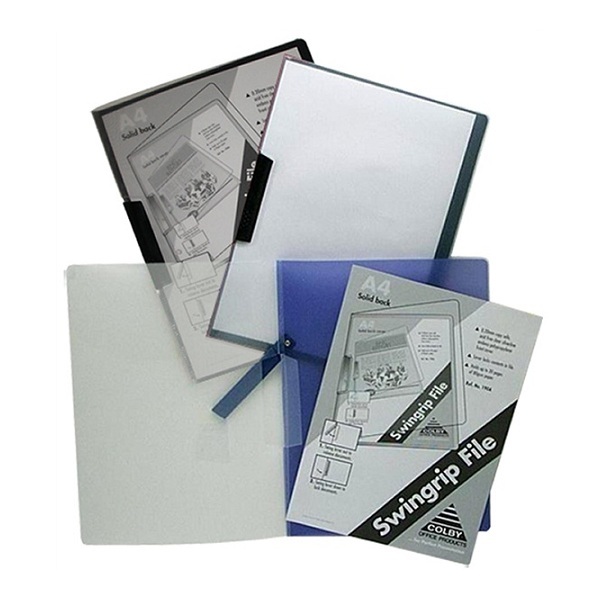 A premium clear front copy safe A4 presenter for unpunched documents, with side mounted swing clip and solid back cover. Clear copy safe covers, opaque back, both with silverline emboss. Sturdy colour co-ordinated plastic swing clip secured to spine. 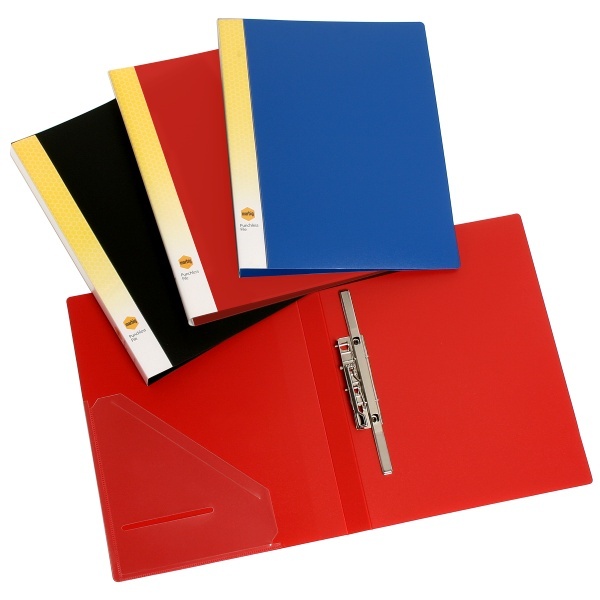 Made from archival quality, copy safe, acid free polypropylene. 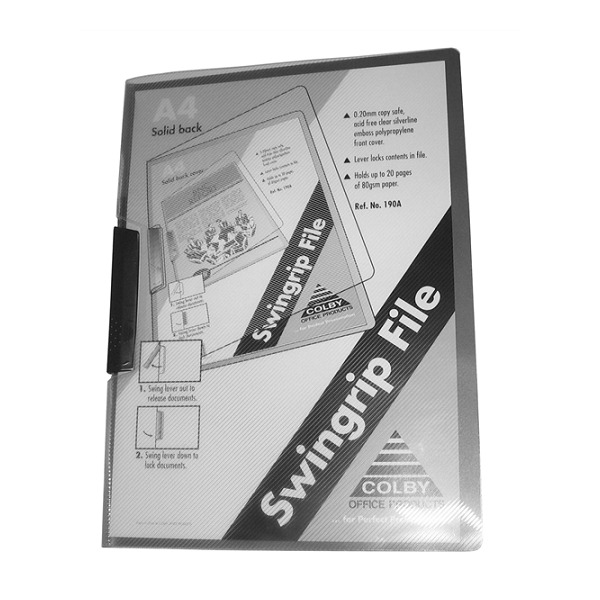 Pack of 5 Black swingrip files. 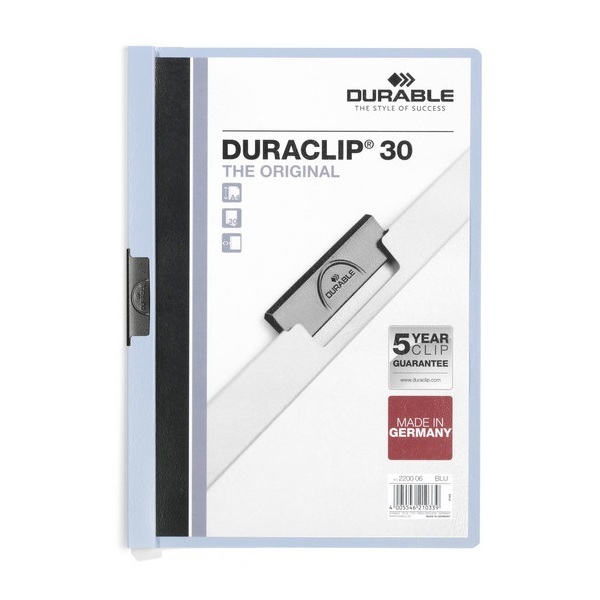 The original DURACLIP file made of PVC plastic with a special sprung steel clip. Ideal for presentations, filing, quotations, conference / seminar notes and reports. A transparent front cover and coloured back and spine. 3 mm spine with capacity of 1-30 A4 sheets. Sold individually so you can mix and match colours! 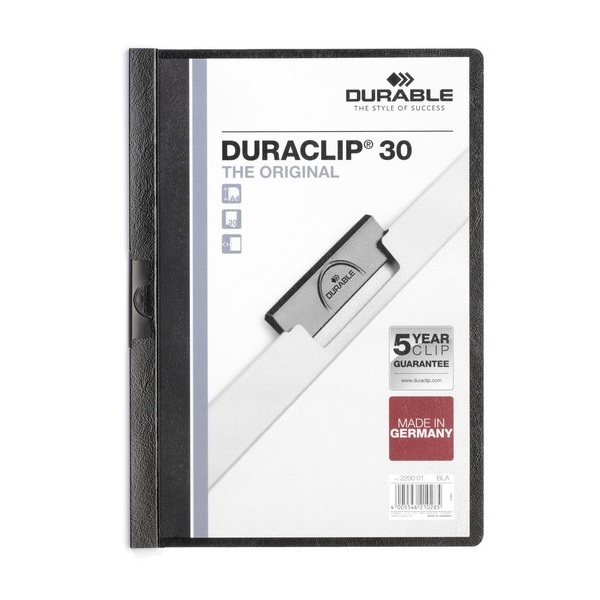 The original DURACLIP file made of PVC plastic with a special sprung steel clip... in landscape format. 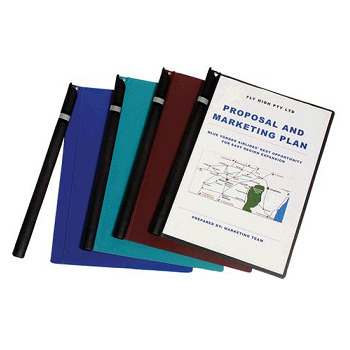 A transparent front cover and dark blue coloured back and spine. 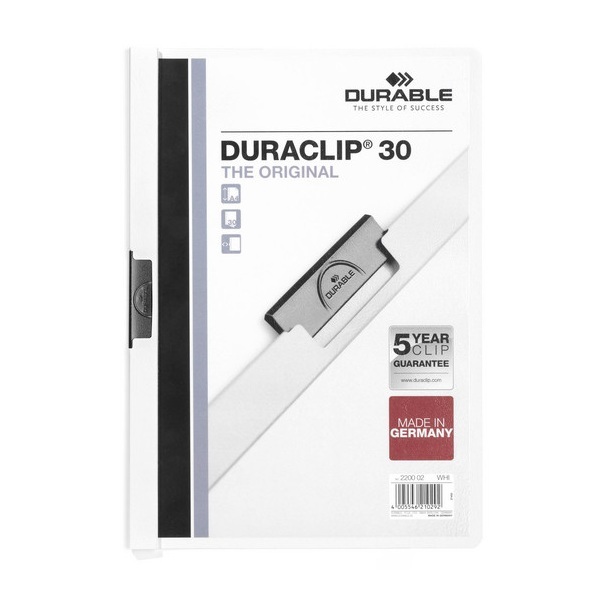 3 mm spine with capacity of 1-30 A4 sheets in landscape format. 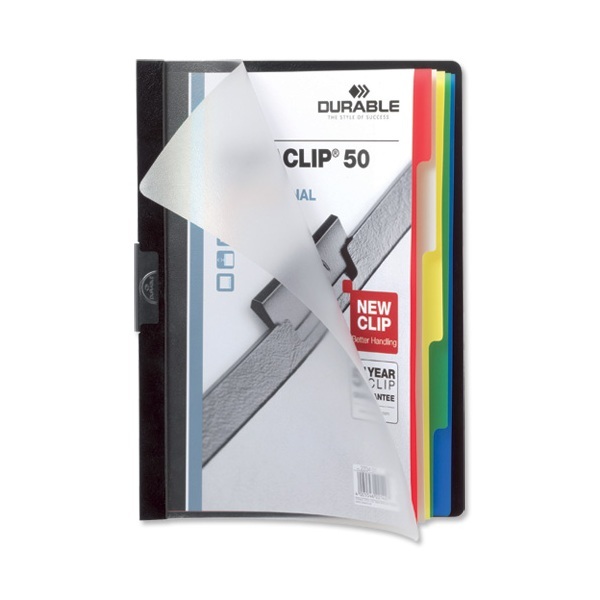 DURACLIP technology with integral 5-part divider and index. 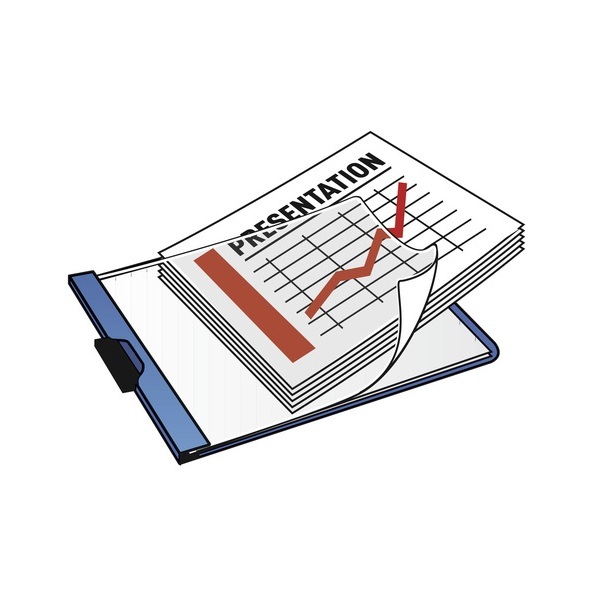 Ideal when making proposals that require different elements or when used as a project file. A transparent front cover and black coloured back and spine. 5 mm spine with capacity of 1-50 A4 sheets.